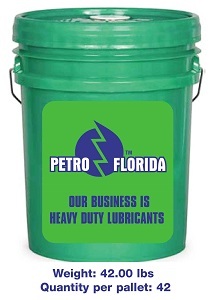 Petro-Florida distributes various additives. Engine oil additives, transmission fluid additives and many more. Additive in motor oil is a specially designed composition designed to increase the characteristics of an automobile engine and to produce minor invisible (“cosmetic”) repair of its constituent parts or to prevent possible problems. If you believe the creators of this product, then its effect is based on the fact that the reactive micro particles together with the oil penetrate into the working mixture of the motor and provide the aforementioned effect. Allegedly, due to their properties, they can create a thin layer of plaque, which prevents excessive friction of the working surfaces and preserves the viscosity of the oil under high temperatures. In addition, the additives also serve as a sealant and can eliminate leakage on a severely worn out motor. Fluids for automatic transmissions (ATF) perform several functions simultaneously: lubricate gears of planetary gears, transmit force in the hydrotransformer, work in hydraulic unit as hydraulic fluids and provide a strictly defined friction coefficient of friction clutches. At the same time, ATF can be heated above 150 ° C, aging, oxidizing and losing its working properties. To prolong the period of normal operation and to make the operation of the automatic transmission more suitable, add Liqui Moly ATF Additiv. It improves the detergent properties of ATF, prevents the contamination of the torque converter and hydraulic unit. Prevents premature aging of the fluid and restores the rubber seals of the automatic transmission. The last property is the most important. In the automatic gearbox, there are a lot of rubber seals in the hydraulic unit, they age and start to flow the liquid. At the same time, there are no leaks outside the box, and the normal operation of the automatic transmission is broken. The automatic transmission can begin to tighten the switching moment, or vice versa, switch too sharply, with a jerk. ATF Additiv eliminates internal fluid flows and makes the operation of the automatic transmission as correct as the manufacturer has foreseen. In addition, ATF Additiv extends the life of the fluid, preventing its aging and loss of properties, without affecting the coefficient of friction, which is important for the operation of the automatic transmission. The engines are becoming more powerful, but at the same time it is required to reduce the overall fuel consumption. That’s why the 6th or even the 7th step is added to the mechanical gearboxes, while the transmission oils recommend more liquid, energy-saving ones. Since the load is high, additional protective additives become more and more relevant. Liqui Moly GmbH produces a whole range of protective antifriction additives in MKPP, as well as additives that solve other operational problems. Using additional additives, you can improve the gear shift, reduce noise in the operation of transmission units, reduce fuel consumption, remove oil leaks, increase the life of the transmission units. Power steering, as well as automatic transmission, have problems. Motorists simply forget to change the oil in the GUR, often believing that it is flooded for the entire lifetime. However, after a couple of years of operation in the oil, wear products accumulate and the bypass valves can clog. Then rubber seals grow old and leak may appear, directly affecting traffic safety. Will help sealant GUR Liqui Moly Servolenkungsoil Verlust Stop. This is not just a sealing compound, restoring the elasticity of rubber seals. This additive is capable of removing impurities, restoring the operation of the GUR valves. Its use eliminates noise in the work, jerks in the movement of the rudder, increases the service life of the liquid. The additive can be used both for problem solving and prevention.